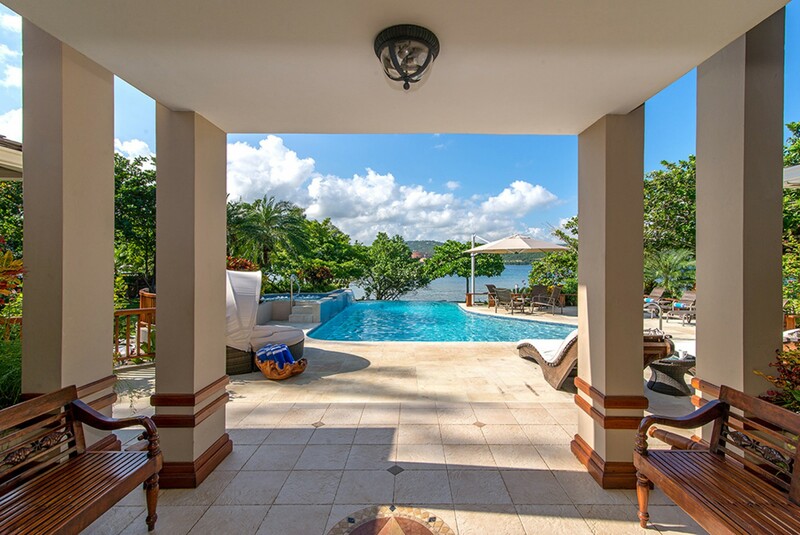 Welcome to Fortlands Point, a luxurious 7-bedroom Villa perched overlooking the Caribbean Sea in the exclusive area of Discovery Bay in Jamaica. 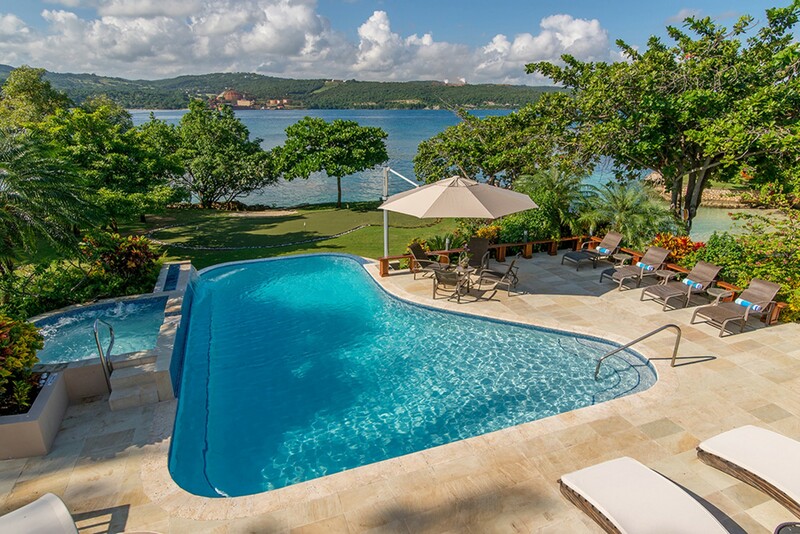 The Villa is located near three private beaches on a secluded promontory. The property enjoys landscaped gardens tinged with tropical flowers and its own private infinity edge swimming pool with a Jacuzzi. 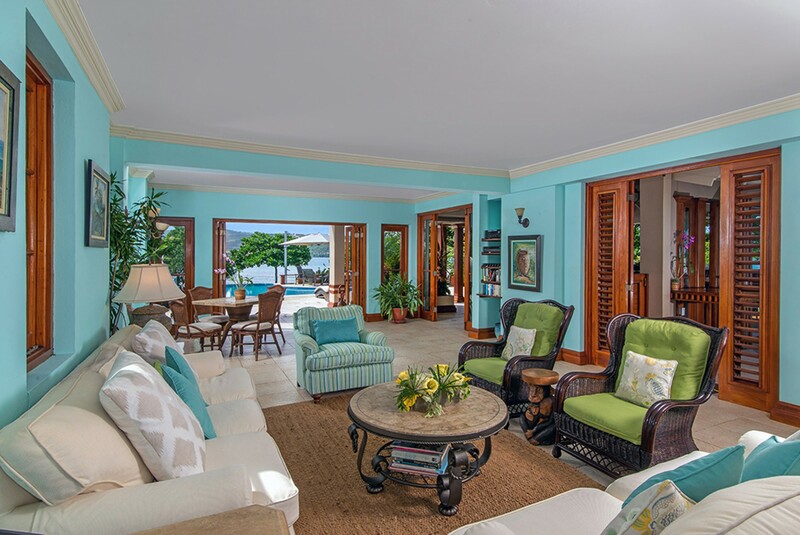 The villa can accommodate up to fourteen guests over its extensive exterior living space and lavish interiors. This incredible tranquil Cove is the perfect place to enjoy your important Holiday time surrounded by your loved ones. 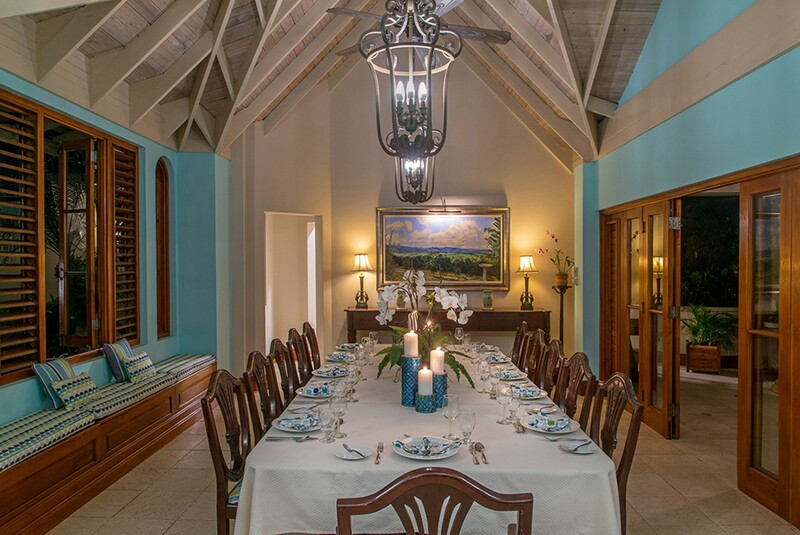 The villa encompasses a total of 14,000-sq-ft and the exterior land is based on 3 acres at the tip of a stunning Caribbean peninsula. 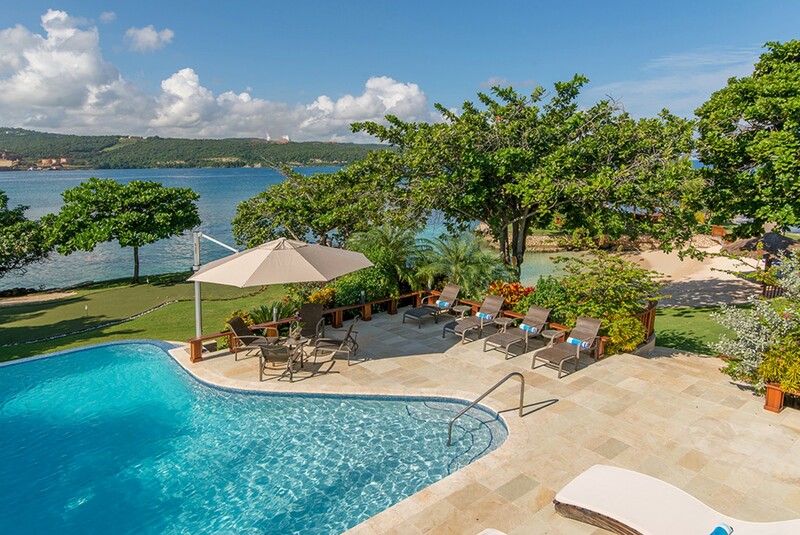 From this point, you can enjoy the panoramic views of the crystallized turquoise water in Discovery Bay on one side and on the other, the deep blue Caribbean Sea. The clear waters and three beaches are easily accessible making the adjacent reefs a paradise for snorkeling and diving. 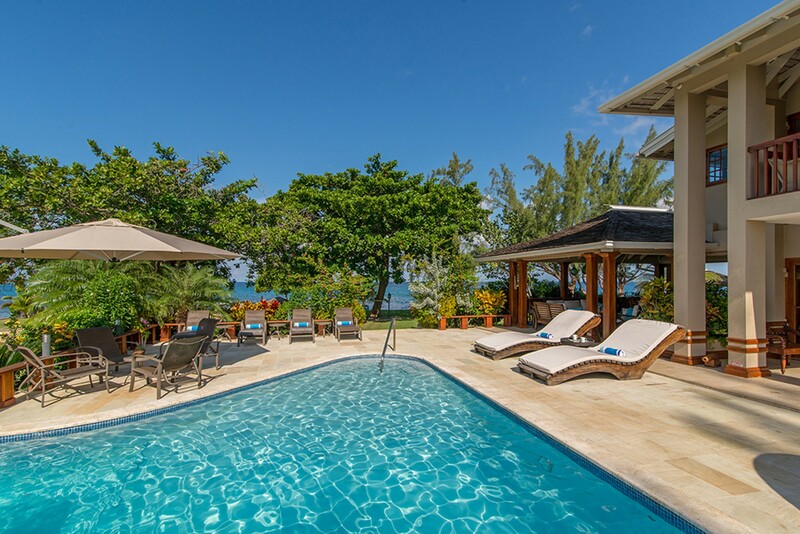 The villa provides you with an abundance of water sports equipment including paddleboards, Kayaks and snorkeling gear so exploring these reef-lined waters can be done anytime during your stay. 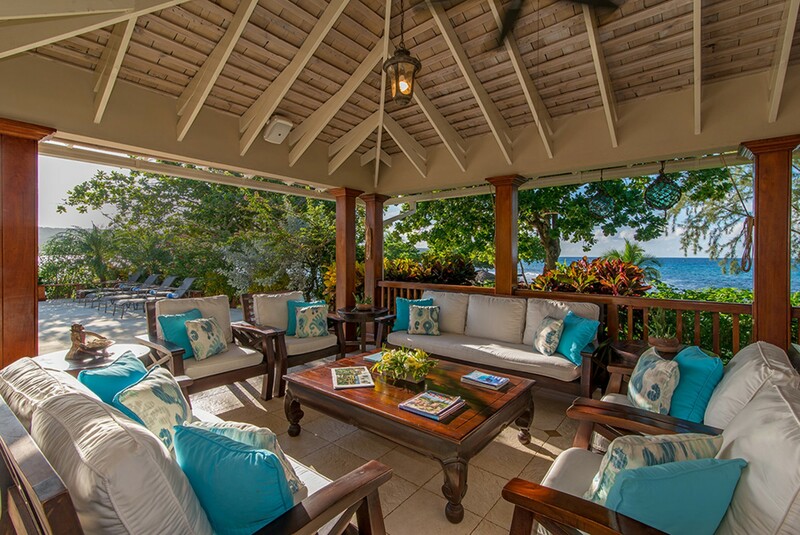 Just a few feet from your private villa lies protected colorful coral reefs which are home to Jackfish, Parrot Fish, Wrasse and Sergeant Majors. Spend a day on the beach as you walk along the shoreline as the waves lap lazily onto your toes. The main beach is set up with a large thatched parasol and comfortable sun loungers. Enjoy the fresh Sea breeze skimming across your skin as you relax in the hammock and listen to the stereophonic sound of the sea. Fortlands Point indulges in an expansive outdoor living area. Walk out in the early mornings and enjoy the warm air. Watch as the sun rises over the waters and stretches over the land. Slip into the pool for an early morning swim. 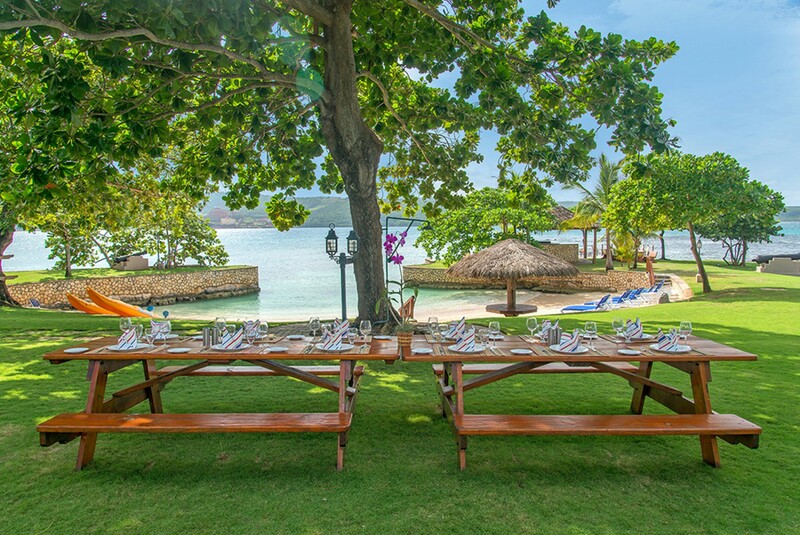 As the household wakes up you can indulge in some alfresco dining, Caribbean Style. Your professional chef can serve up some delicious cuisine. 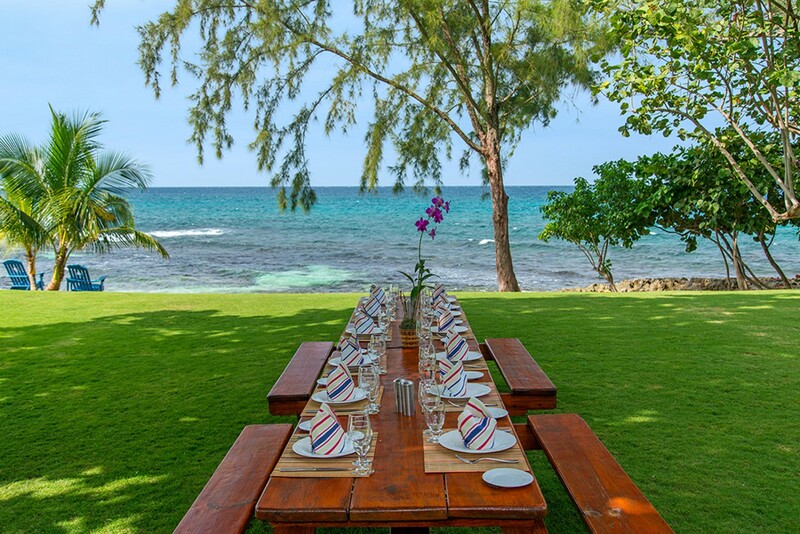 Along the garden, you will find a covered outdoor dining area that overlooks the edge of the garden and the views expands over the ocean. Seven old cannons dot the grounds. 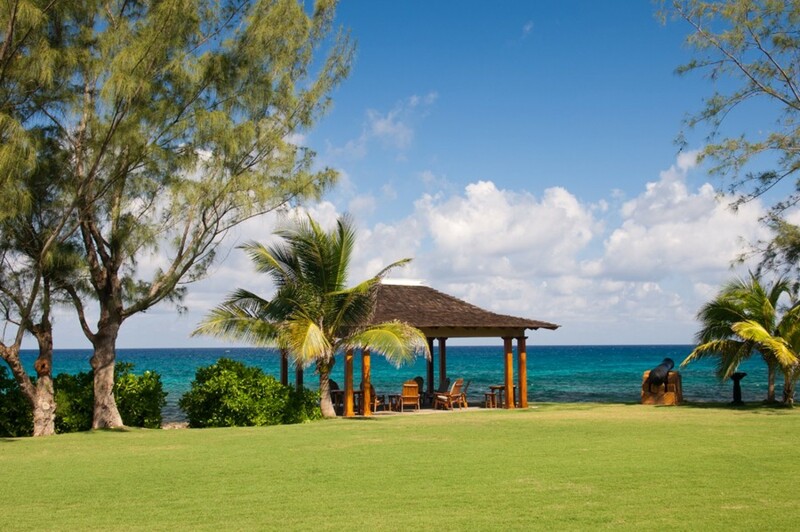 After breakfast, you can explore the grounds or simply relax on the beach and soak up the sunshine. 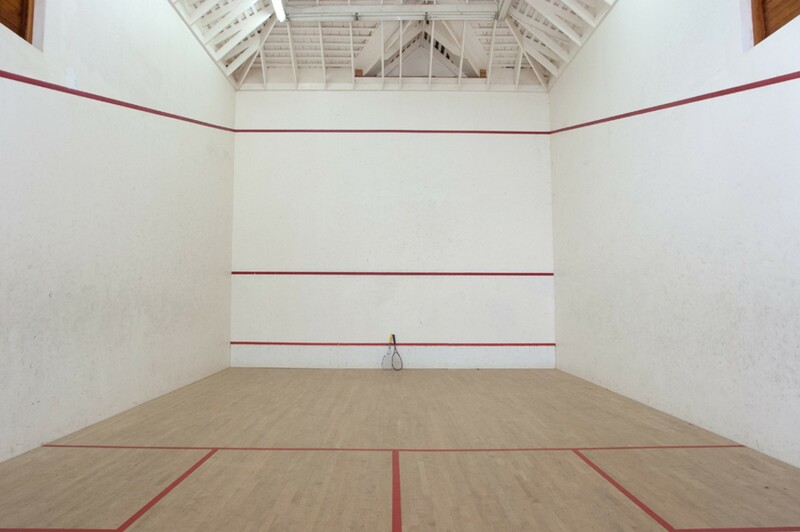 Across the lawn is the indoor glass-backed squash court and adjacent is a mirrored fitness room. 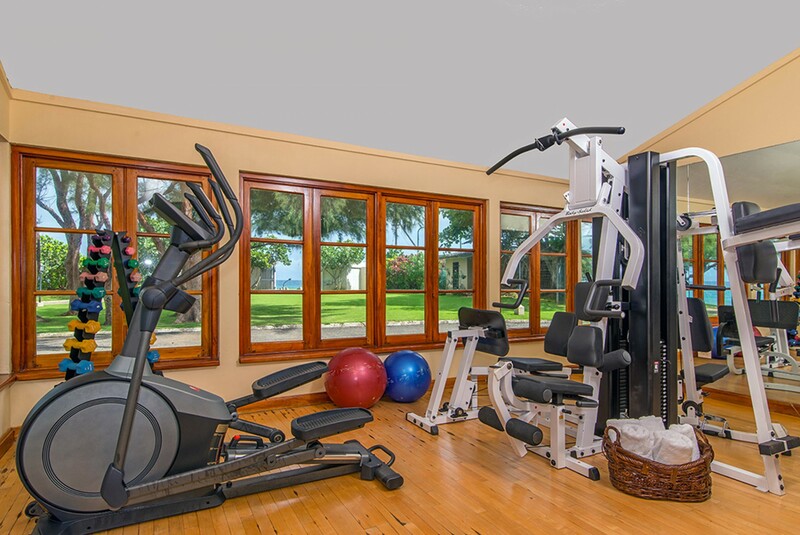 Here you can use the universal weight machine and elliptical cycle in the breezy, open space with a wonderful view of the sea. 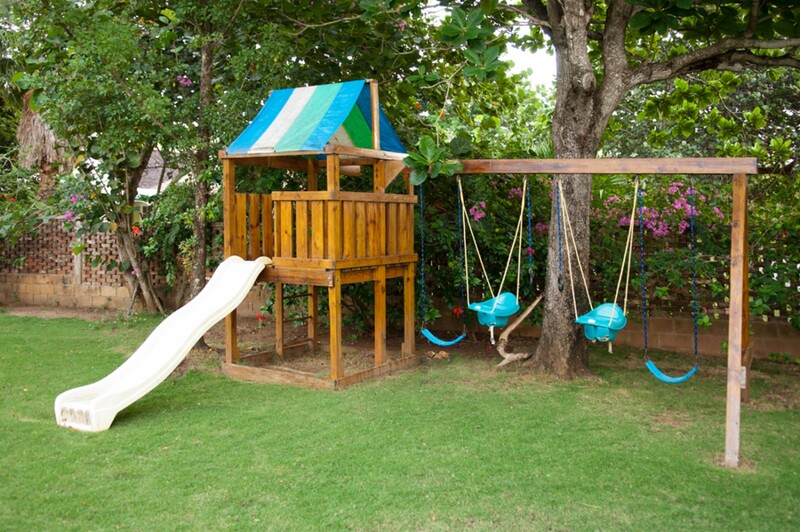 In the yard are two swings, one set of rings, a slide and a mini-tree house, perfect for the children to play in. 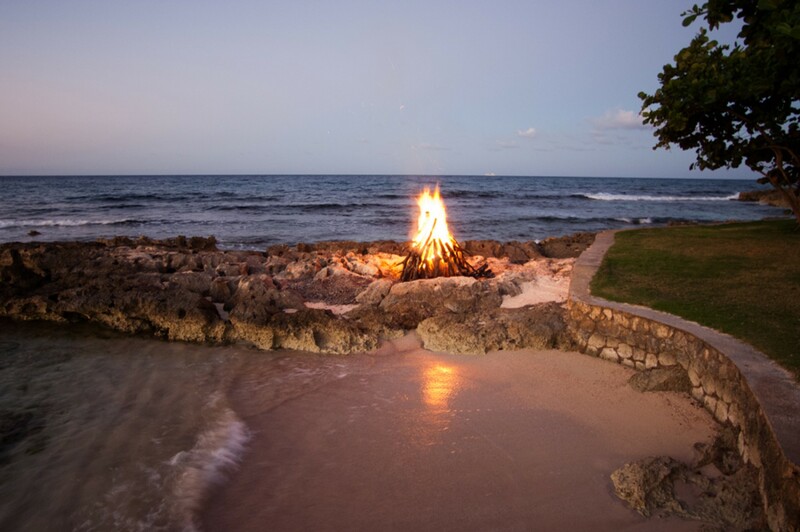 In the evenings, light up the large seaside bonfire and watch the sun setting as your dinner is being served. Enjoy the tantalizing dishes with some drinks from the bar. Mix up some tangy cocktails or simply pop open a bottle of wine from the Villas cellar. You could also make use of the outdoor kitchen and Barbeque. Cook up some sizzling cuts for a delicious smoky meal, full of succulent flavors. As the evening winds down, you can slip into the bubbly waters of the Jacuzzi and let your worries float away. Retreat each night to your lavish bedrooms with the sounds of the waves guiding you to sleep. The villa embraces a modern and sophisticated design with large open spaces and luxurious furnishings. 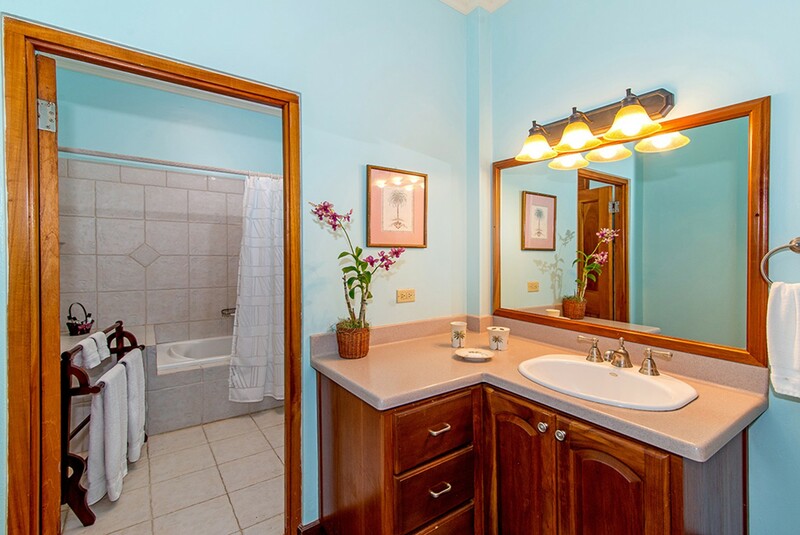 It uses a combination of Classic decor with a Caribbean hint. Textures of teak, cedar, Italian tile and Persian rugs complement the dramatic architecture. The main living areas are located on the ground floor. Each room here is open to the wide stone terrace, swimming pool and hot tub. The sitting room is extremely chic with the interiors carefully laced in beautiful contemporary artworks and furnishings that are quiet yet luxurious. It opens out onto the Verandah. This comfortable verandah is complete with black granite bar, icemaker, and a large high-resolution television. This area is also fitted with a surround sound system. Located off the living area is the indoor dining room. This formal dining room includes a 100-year-old 12' mahogany heirloom table. There is a total of five open-air dining areas throughout the exteriors also. The kitchen comes fully equipped and ready for you to use if you wish. The kitchen includes a 6-burner gas stove and a walkway to staff quarters. 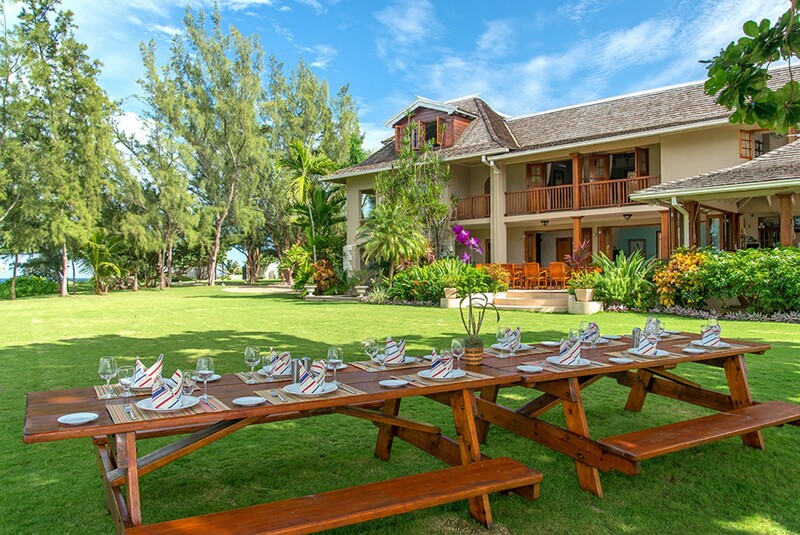 The Villa is very child-friendly, offering two complimentary porta cribs, one high chair, and games for children. The television system includes Disney programs also. The villa has a total of seven bedrooms. 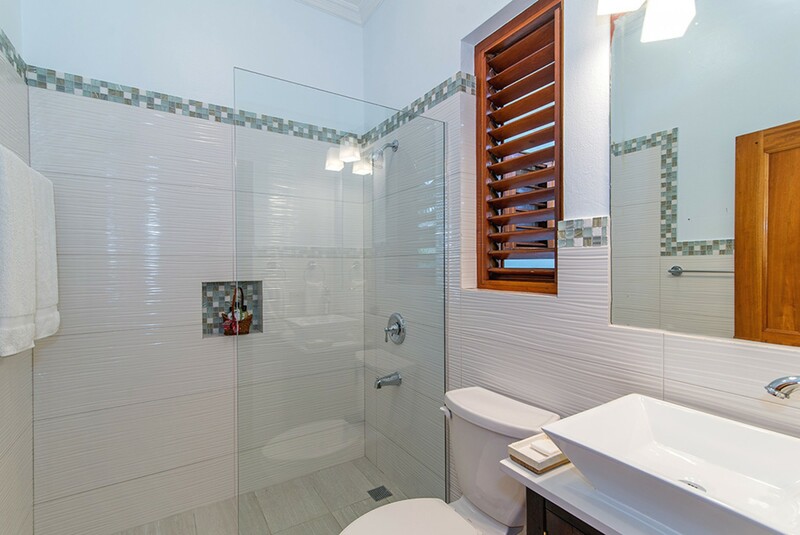 Each room offers its own private en-suite bathroom and they are fitted with stainless steel Kohler fixtures. 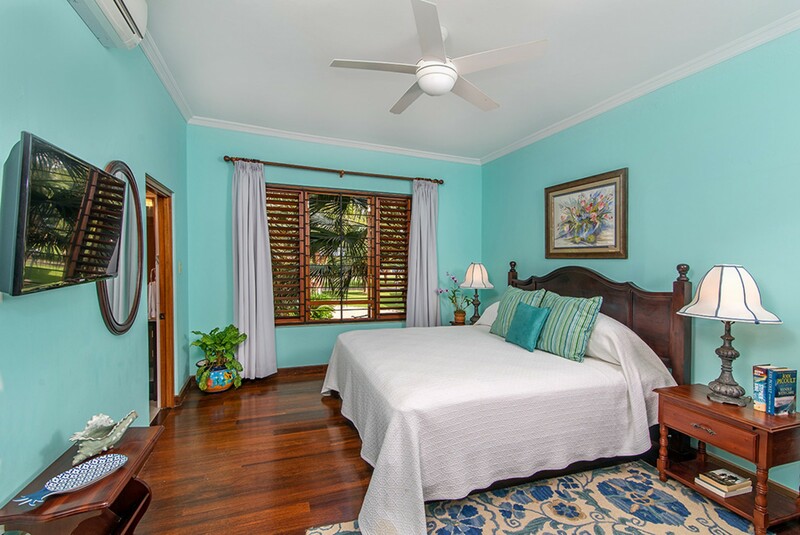 The bedrooms feature state-of-the-art remote-control air-conditioning and ceiling fans. On the first floor, you will discover a luxurious open room featuring a custom-designed mahogany king-sized bed and an additional daybed. The room offers a television, and access to the terrace via the French. The terrace is furnished and enjoys incredible sea views. 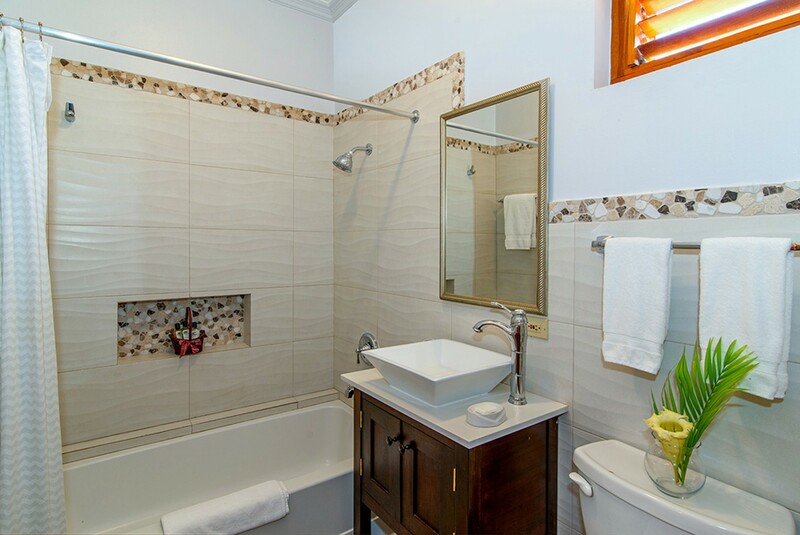 The private en-suite includes a bidet and bathtub-shower combination. The room is Wheelchair accessible and there is a ramp through the terrace. On the second level, you will find three more bedrooms. The King-sized bedroom offers you a large walk-in closet and in the en-suite features a bidet and bathtub - shower combination. 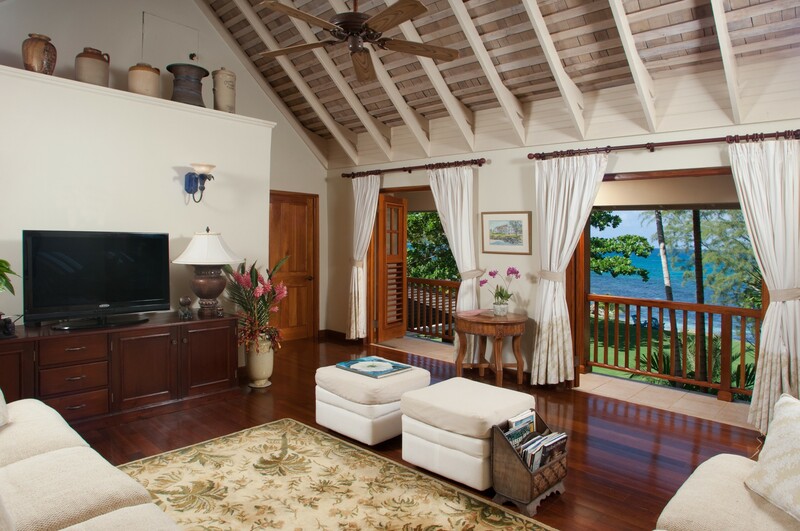 The room indulges in sea views through the French doors onto a furnished balcony. The queen-sized bedroom includes a 4-poster bed, a bathtub-shower combination in the bathroom and also has panoramic sea views. 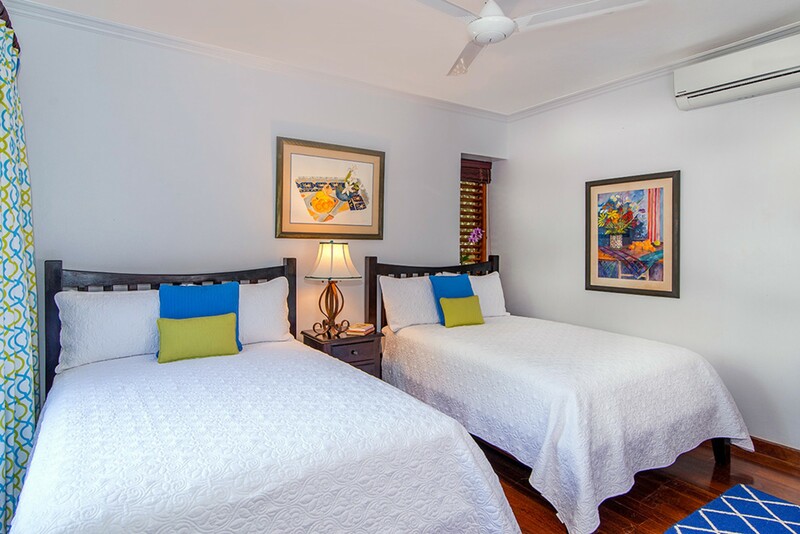 The third room offers you the option of a luxurious king-sized bed or twin beds. 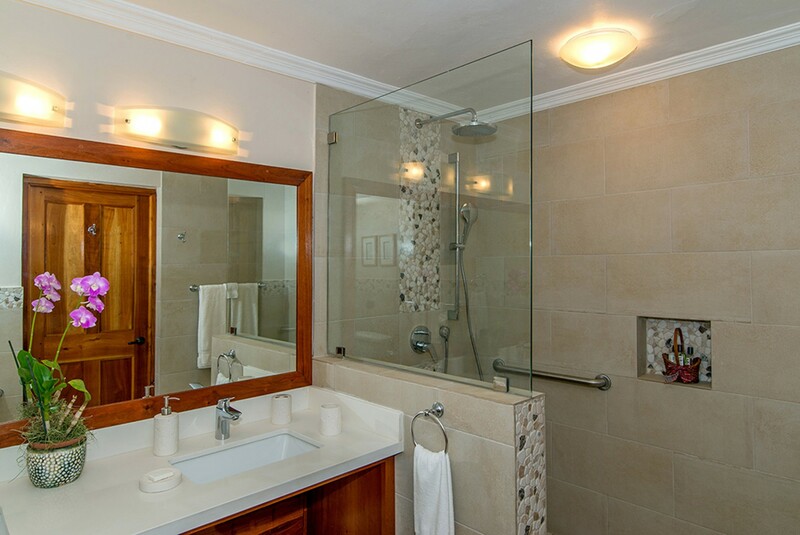 The en-suite bathroom has a bathtub-shower combination. The third level of the house includes a comfortable family room. This is a luxurious space, acting as an additional living room. The room offers a large surround-sound television, DVD player and has direct access onto an open balcony with expansive sea views. This level also holds the fifth bedroom of the property. The room features a King-sized 4-poster bed, television, walk-in closet, and the spacious en-suite bathroom includes a double-basin vanity, bidet, and a large walk-in shower with two separate showerheads and three waterjet body massagers. The fourth level holds the remaining two bedrooms. 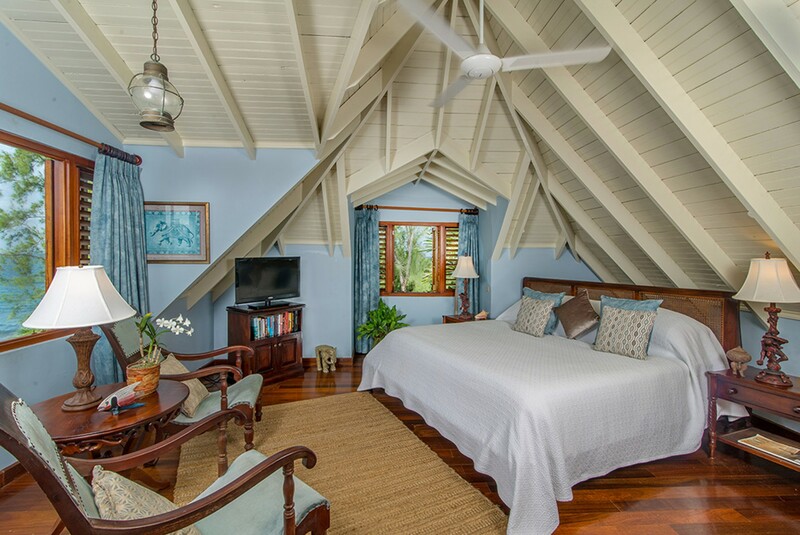 The rooms are fitted under high peaked ceilings. The Large loft bedroom features a luxurious King-sized bed, walk-in closet, and the spacious bathroom offers a bidet and walk-in shower with two separate showerheads and three waterjet body massagers. 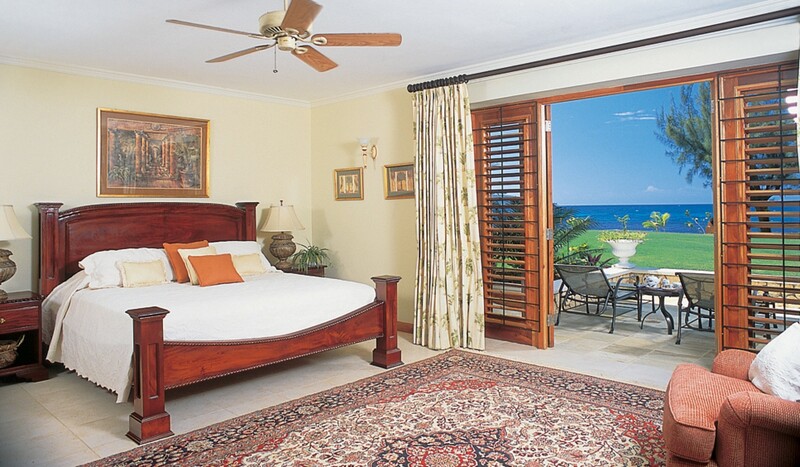 The Sea views can be enjoyed from the bedroom, bathroom, and shower in this room. The final bedroom of the property is suited for children and includes comfortable Twin beds and an en-suite bathroom with a walk-in shower. 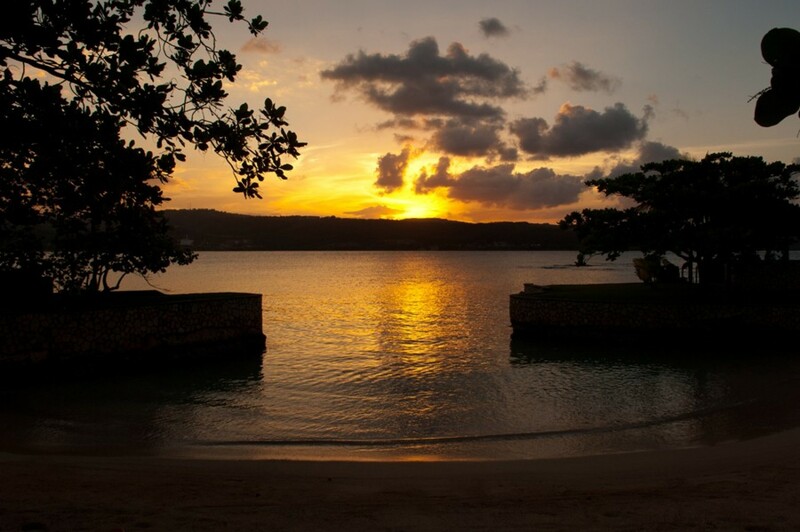 Fortlands Point is located in Discovery Bay overlooking the Caribbean Sea in Jamaica. 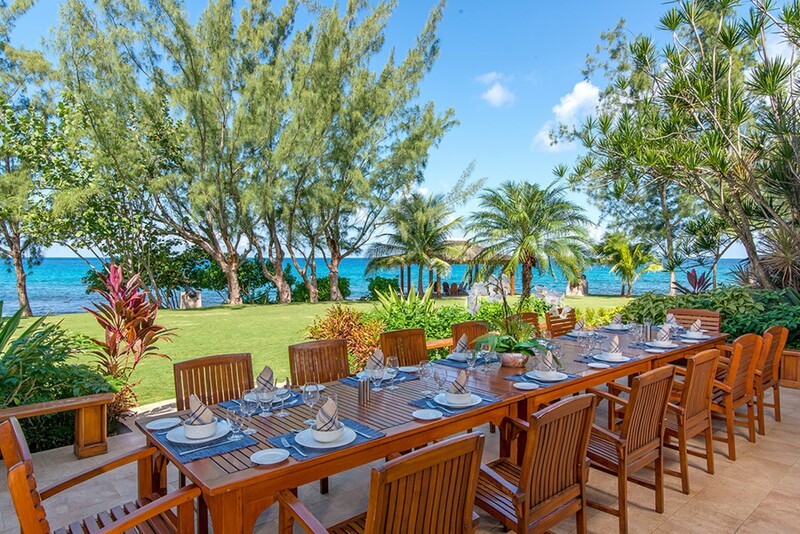 The Villa is located near three private beaches on a secluded promontory. 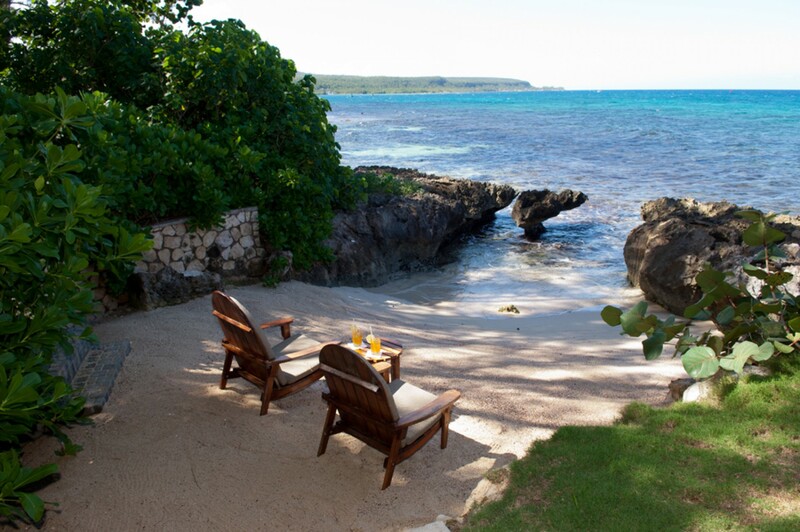 This incredible tranquil Cove is the perfect place to enjoy your important Holiday time surrounded by your loved ones. 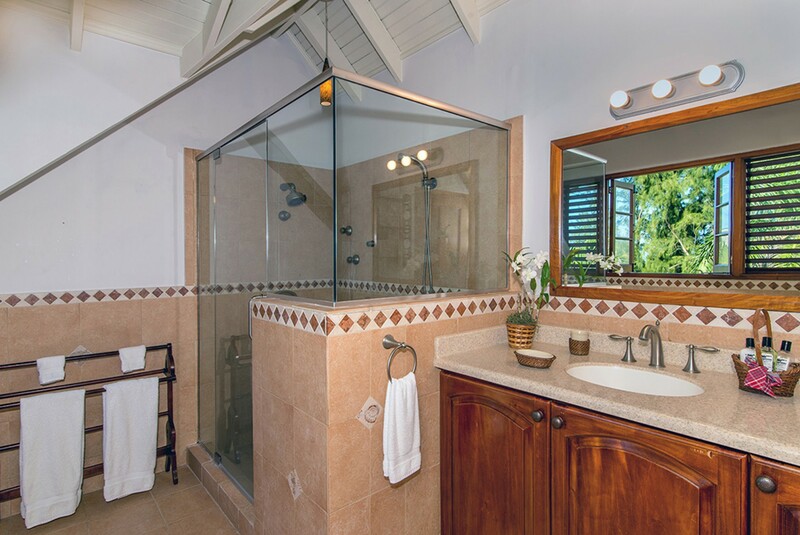 The villa is perfectly based, enjoying its own serene location and based a short five-minute walk to Discovery Bay and thirty-minute drive to Ocho Rios. 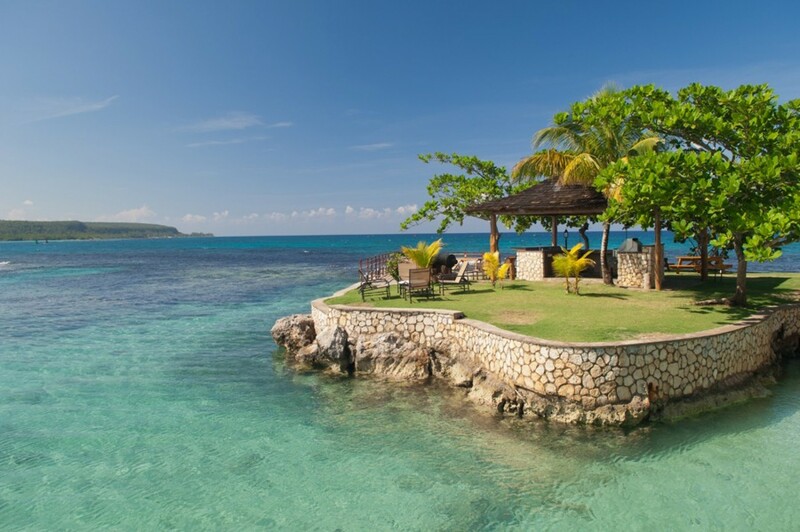 The Montego Bay Airport is set 66km from Discovery Bay which is an hour’s drive in total. 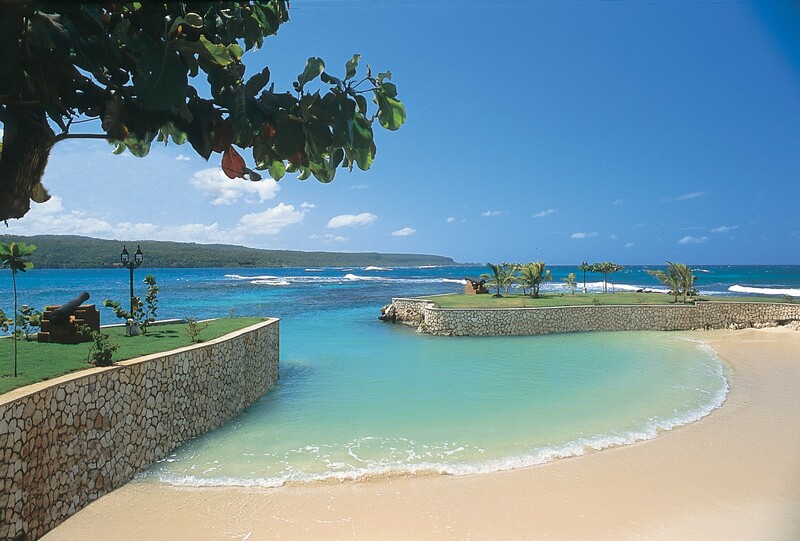 Ocho Rios is a quaint port town based along the northern coastline of Jamaica. This former fishing village is now a lavish and exclusive resort. The resort includes a cruise ship harbor and a busy bay beach lined with hotels. The town is also based near the vibrant parish of Saint Ann. Here you can enjoy Jamaica’s natural, lush rainforests and waterfalls. 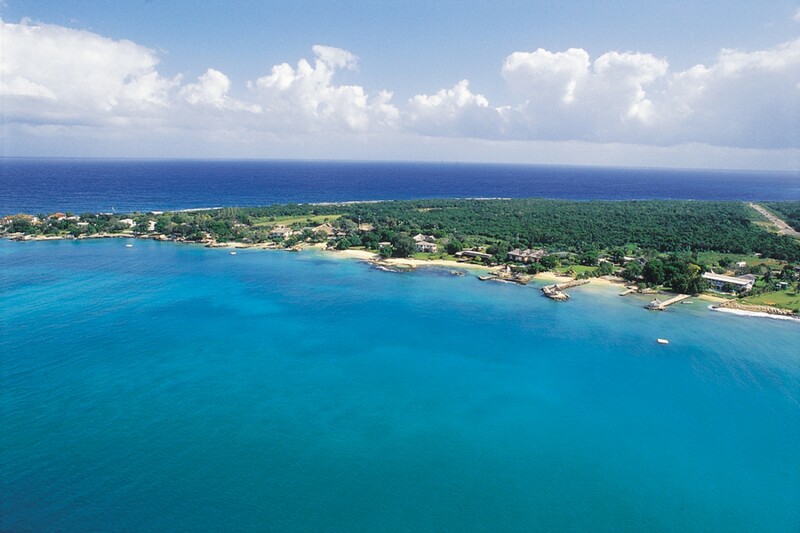 Jamaica is a vibrant and well-loved Caribbean island nation. Laced with an abundance of majestic mountains, vivacious rainforests and luxurious sandy, reef-lined beaches. 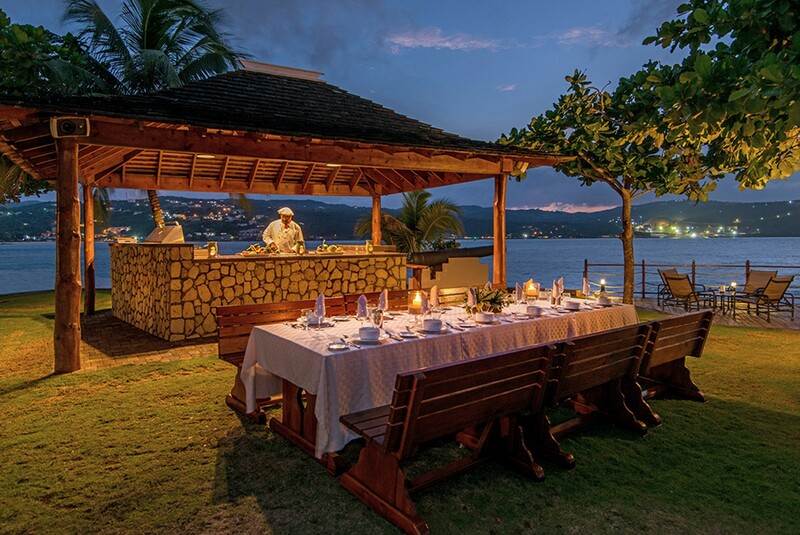 Each corner of this exquisite island offers its own range of natural jewels from the Caribbean. Along the craggy coastline, the waters are crystallized and turquoise blue to the eye. Making your way into the island you will discover a profusion of hidden waterfalls and great rainforests that chatter with happy flora and fauna. BEDROOM 1 MASTER: Luxurious Mahogany King-sized Bed, Comfortable daybed, Private En-suite bathroom, Bidet, Large tub-shower combination, High-resolution television, Wheelchair accessible bedroom and terrace via ramped entrance and wide doorways, Remote control Air-Conditioning, Ceiling fan, French doors to furnished terrace and lawn, Incredible sea views. BEDROOM 2: Luxurious King-sized bed, French doors to furnished balcony, walk-in closet, Private en-suite bathroom, Bidet, Bathtub - shower combination, Remote control Air-Conditioning, Ceiling fan, Incredible sea views. BEDROOM 3: Lavish Queen-sized 4-poster Bed, Private en-suite bathroom, Large Bathtub-shower combination, Remote control Air-Conditioning, Ceiling fan, Incredible sea views. BEDROOM 5: Luxurious King-sized 4-poster Bed, Private en-suite bathroom, Double-basin vanity, Bidet, Large walk-in shower - 2 showerheads and 3 waterjet body massagers, High-resolution television, Walk-in closet, Remote control Air-Conditioning, Ceiling fan. 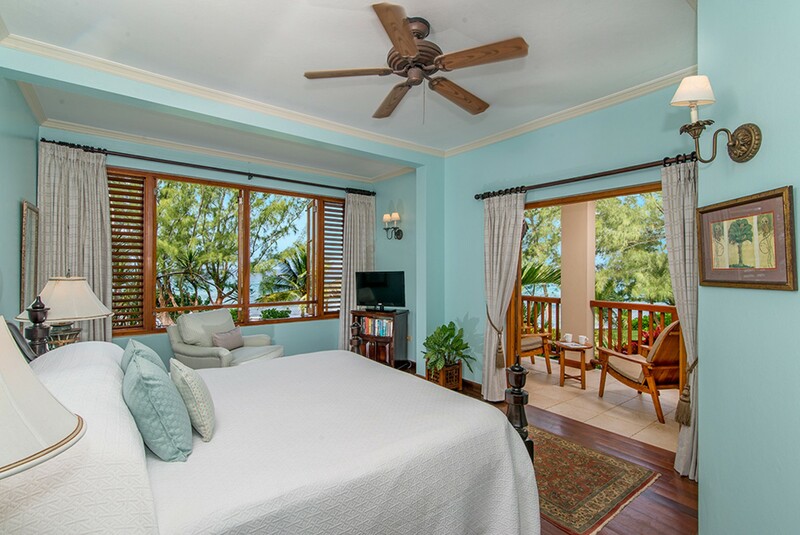 BEDROOM 6: Luxurious King-sized Bed, Private En-suite Bathroom, Bidet, Large Walk-in shower – 2 showerheads, 3 waterjet body massagers, Walk-in closet, Remote control Air-Conditioning, Ceiling fan, Incredible Sea views. It was an unbelievable trip! The grounds and villa were beautiful, the staff was amazing and the food was top notch. Perfection! We had the wedding of our dreams at the villa!!! Hi Emma, We were very pleased with our stay at Fortlands Point! It was fantastic! The staff was incredible and the villa was even more amazing than the pictures. We had the wedding of our dreams at the villa!!! Thanks so much to you and Noreen for all of your time, effort and attention. You certainly made this a great experience for us. Both Fortlands Point and Sea Grapes were great! Emma, Everything was nice. Very nice. Both Fortlands Point and Sea Grapes were great! looking forward for next trip ! Thanks from everyone ! Emma & Noreen, I am speechless! We cannot express how phenomenal it was... we had a few mishaps with villa but staff was so responsive that we barely noticed. The staff there at the house simply made it better. Patrick Gregory Sean Junie Janie Arthur Kadian and Roy the driver made our stay surpass anything we ever experienced! We will go back and we will be using Exceptional Villas again! Noreen you are phenomenal you got back with me quickly every time I had a question. We are looking forward to the next time. 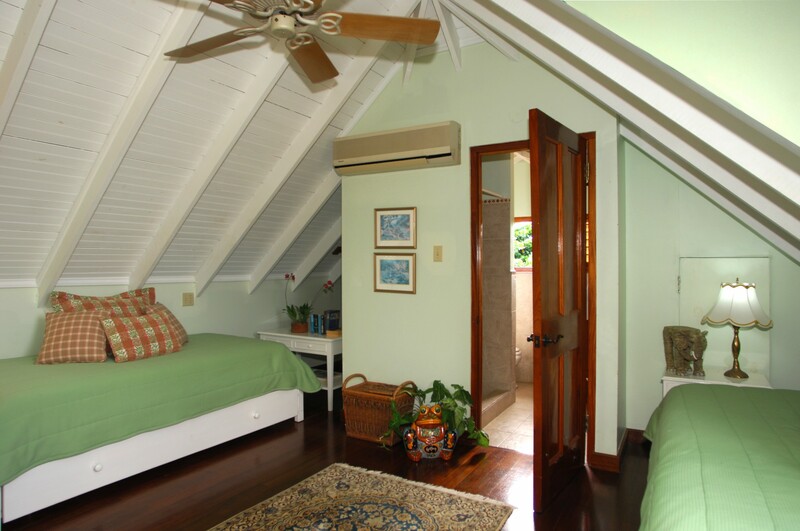 Fortlands Point is one of the best villas in Jamaica for a group or a family vacation. 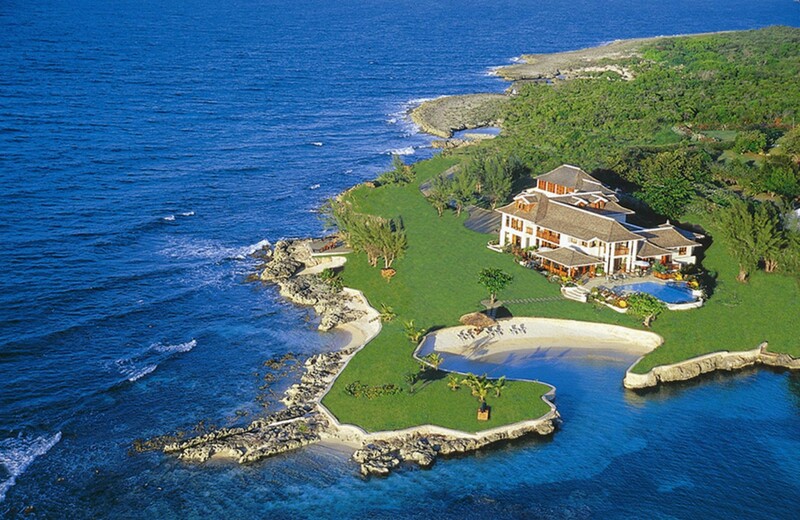 On my last trip to Jamaica I personally went to see this villa. 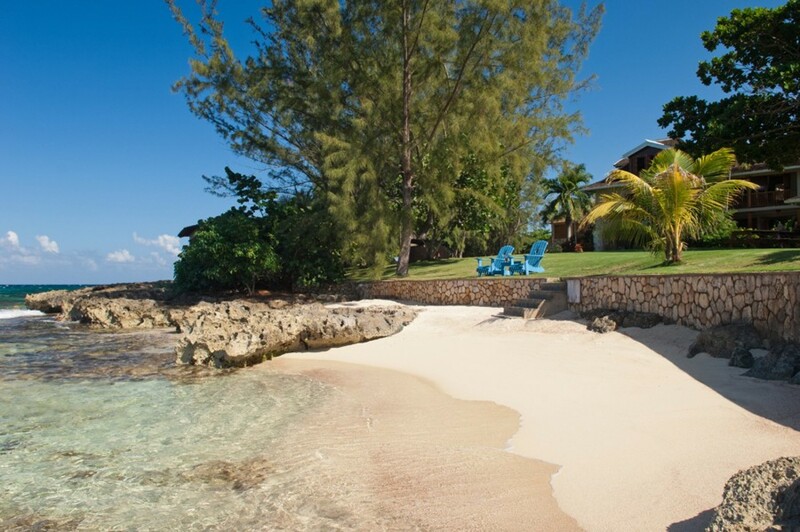 It is the only villa in Jamaica tat has 3 sections of beach surrounding the villa. The home has so much space and the staff are amazing. You are only a short walk to Discovery Bay and there is also a lovely beach bar and restaurant a short walk from the villa called Puerto Seco Beach Bar. 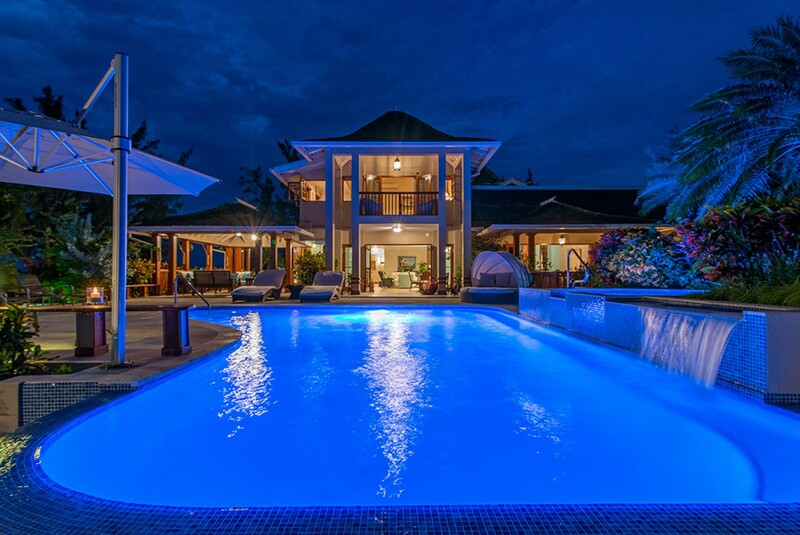 I would highly recommend this villa for a family or group of friends. Fortlands Point truly is the perfect location for a celebration with family and friends. 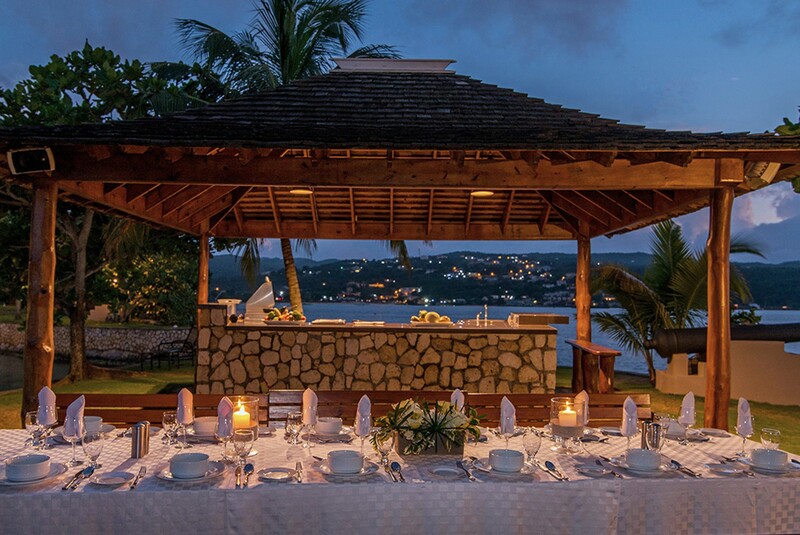 Whether you would like to celebrate a wedding, birthday, anniversary, or simply to relax and delight in the peaceful Jamaican atmosphere- Fortlands Point has it all. 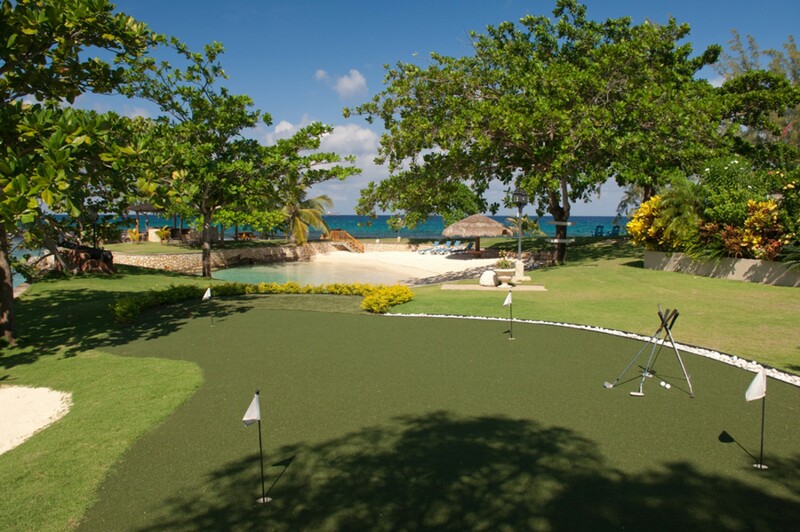 The grounds are so spacious with so much to offer from watersports, a small putting green, private pool, 3 private beaches to choose from, an outdoor bar and grill...the list goes on. 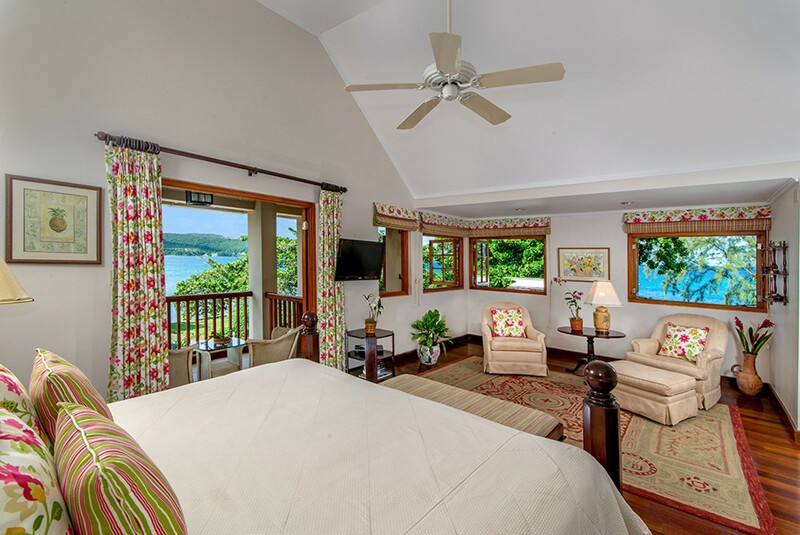 The bedrooms all have incredible views of the stunning Discovery Bay... I would go back here in a heartbeat.